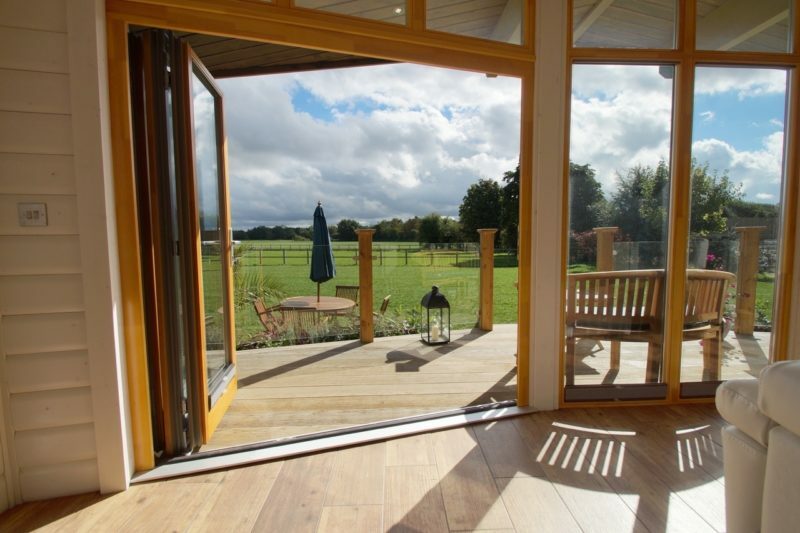 Dave and Carol Parker have two special reasons to celebrate 2016 – the 30th anniversary of their well-known Oxfordshire farm shop and the delivery of the very first British-made Contemporary transportable home as their ‘forever home’. 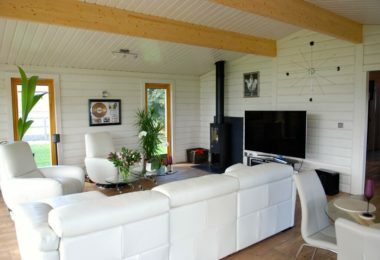 The Parkers run Wheatley Farm Shop on the outskirts of Oxford and are settling into their unique, contemporary home, the first of its kind in the UK. Nestled between the farm shop’s barns and neighbouring field, the eco-friendly solid log building fits perfectly within its semi-rural surroundings. 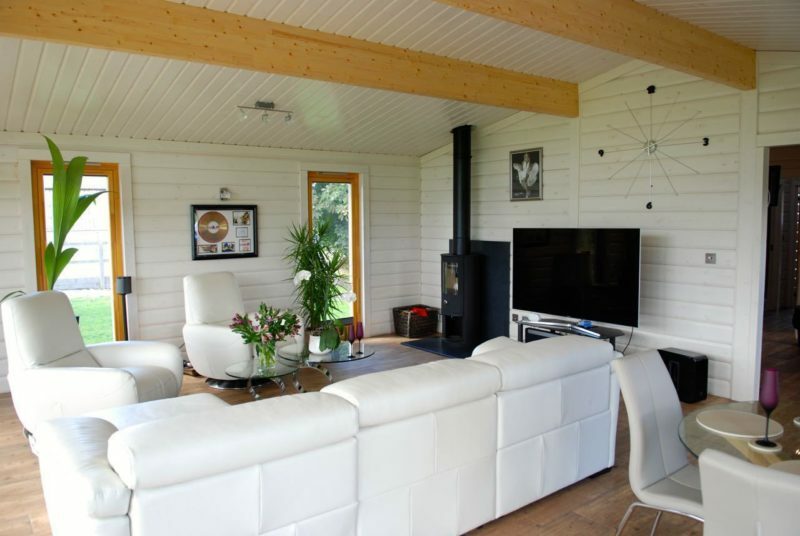 With an eye-catching glass frontage, the home boasts a large open plan living area with wood burning stove, modern sleek kitchen, sophisticated master bedroom with walk-in wardrobe and shower room, bathroom and utility/boot room. 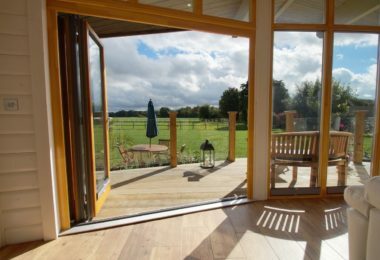 Large bi-fold doors lead out onto a glass-fronted deck area, a perfect spot for watching the wildlife in the surrounding fields. “It’s so lovely having the doors wide open, sitting there with a glass of wine in the evening,” said Carol. 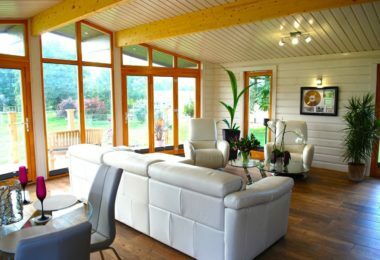 Designed and constructed by Norwegian Log at its Reading manufacturing site, the contemporary building is the first in a new range of transportable homes launched by the Thames Valley firm. 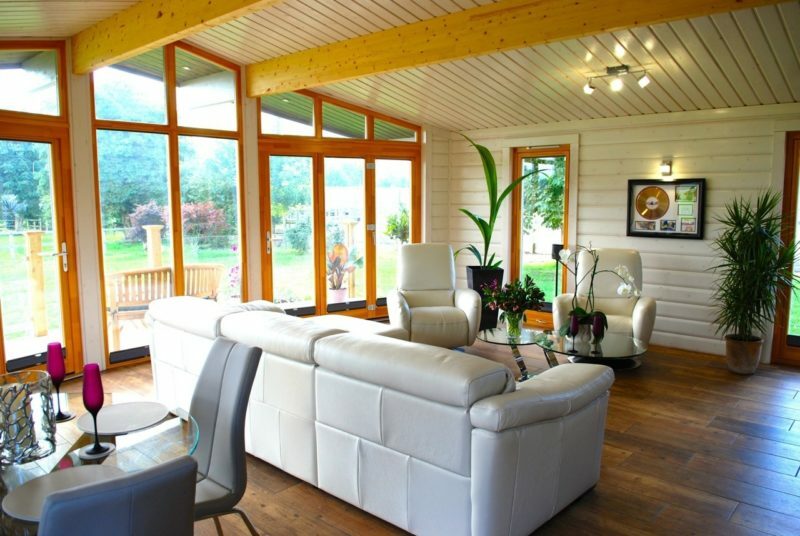 After visiting Norwegian Log’s Reading show home and deciding the contemporary design was for them, the Parkers were granted planning permission within months. Their home was delivered to Wheatley in two ‘modular’ sections and then lifted into place by crane. Their home marks a new chapter in the farm shop’s history. 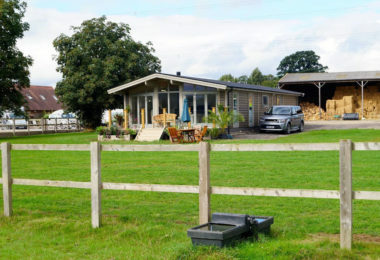 Started by her parents, Hazel and Wally Boater, 30 years ago as a market garden selling home-grown produce, the popular business now boasts a coffee shop, garden centre, and animal feed and pet food barn. Dave and Carol are here to stay. “We’ve made sure our new home has been designed for the future so we’ve included a walk-in shower, no steps and we can easily install access ramps. It’s our forever home!” she added. To view our film of the Parker's home being built and delivered, please click here.